DROP TABLE IF EXISTS tabDepartment;  -- Drop parent table last. -- The company has these departments. -- The company has these employees, each in one department. -- Promote everyone in one department (see @parm...). -- Right size the Legal department. -- Disband the Legal department. -- Look at all the final Employees. 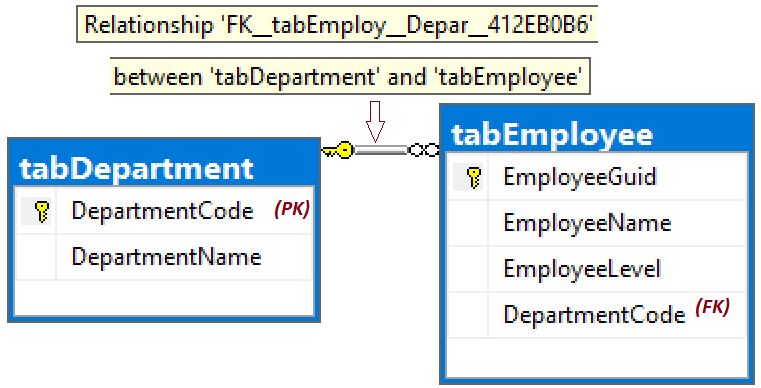 command.Parameters.AddWithValue(  // Or, use SqlParameter class.